A gentle and relaxing massage for the mommy-to-be to alleviate back pains and aching feet. The massage is done sidelined while the mommy is able to relax with the support of a full-body pillow. This massage uses Swedish style strokes with special attention being paid to avoid specific pressure points. Mommy is left feeling refreshed and renewed. Renewing Rose oil and body butter is safely formulated to be used during pregnancy to nourish and care for your expanding skin. Using the traditional aromatherapy pressure point massage for the upper back and paying particular attention to tight shoulders, this massage helps to relieve stress and tension. The legs are massaged to ease the heavy feeling that can come with pregnancy and a full scalp and facial massage, with treatment oil chosen specifically for your skin type, completes this top to toe treatment. Give yourself a moment to appreciate the joy of pregnancy and leave the stresses of life behind you. A gentle and relaxing massage for the mommy-to-be to alleviate back pains and aching feet. The massage is done sidelined or in a special pregnancy massage table while the mommy is able to relax with the support of a full-body pillow. This massage uses Swedish style strokes with special attention being paid to avoid specific pressure points. Mommy is left feeling refreshed and renewed. This luxurious facial harnesses the regenerative properties of rose to nourish, soften and hydrate all skin types, especially dry, delicate and finely textured complexions. This treatment helps to boost your circulation and promote cell renewal and regeneration, leaving your skin radiant, dewy and delicately scented. A calming frankincense inhalation helps you let go of the day’s stresses, turning your focus inward as your treatment begins. A scalp massage releases muscular tension and prepares you for your facial. 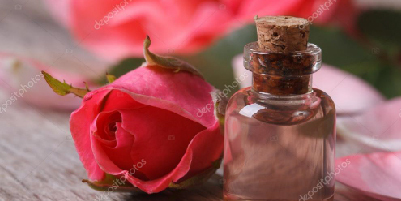 Your skin is thoroughly cleansed, exfoliated and toned using our rose preparations, rich in pure regenerating damask rose, skin balancing geranium, and nourishing jojoba oil. 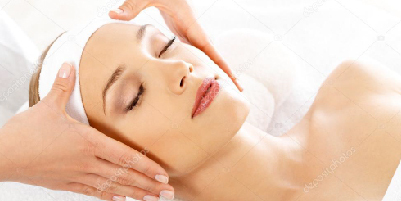 A traditional aromatherapy pressure point massage combined with lymphatic drainage releases facial tension and congestion. Then while a hydrating facial mask goes to work, your arms and hands are massaged and your skin is finally treated with a deeply moisturizing facial oil and moisturizer. The result is a smooth, radiant complexion and a relaxed state of mind.